What surprised you most about Sierra Leone? There were so many things, some trivial and some huge. I was surprised how much it rained – it poured pretty much every day I was there. So many things were surprising about people’s beliefs, from people’s views of the United States and the world, the total religious tolerance, and the common belief in black magic. 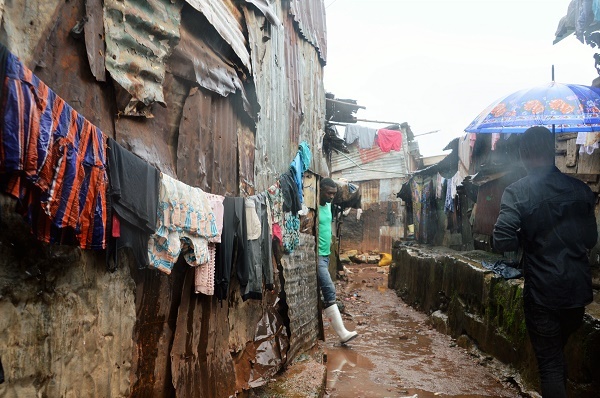 In general, it was striking to see the ways Sierra Leone recovered from the Ebola outbreak, which ended less than a year before I arrived, and the devastating civil war almost 15 years ago. This isn’t to dismiss the immense problems and scars left by these events, but it was heartening to see the ways people were working to help their country rebuild from unimaginable horror and hardship, and the pride people had in their country and people. It was hard to get used to some things about the way journalism is done in Sierra Leone – for instance, doing one interview and then splitting it up into two stories, while I’m used to incorporating lots of sources into one story. Because the whole cultural, historical and political context was so different from anything I was familiar with, it was hard to know what background and context to include in my stories. 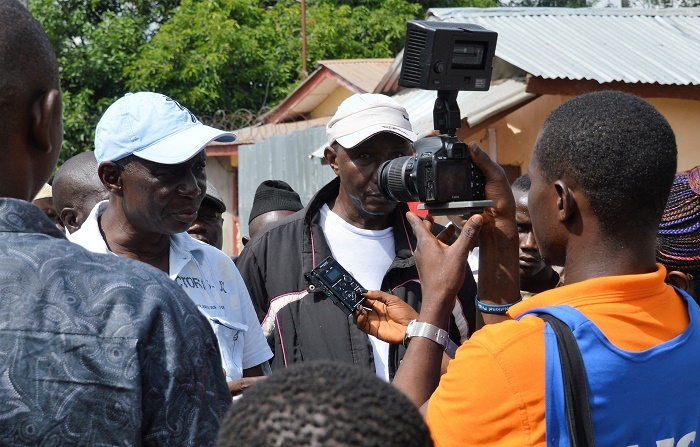 There were also challenges related to how journalists are treated in Sierra Leone compared to the United States. Government officials and those in authority were sometimes a lot more reluctant to talk to journalists, unless they had something they wanted to promote. Oftentimes bureaucracy got in the way of finding sources, and I was denied interviews, given excuses, or told to fill out paperwork before getting clearance for an interview. I was a bit frustrated after coming up against this bureaucracy, but my colleagues told me it’s something they have to deal with all the time, unfortunately. I’m happy with this article, about a man who donated some food supplies to an orphanage for children who lost parents to the civil war and the Ebola epidemic. It was my first reported story where I was able to incorporate multiple sources, and get in depth in the way I wanted. It was a really eye-opening experience to see the orphanage and talk to people there who had been affected by such hardship. It was also interesting to see class differences in Sierra Leonean society, and how Sierra Leoneans are working to helping each other. It always felt like a success whenever I was told I’d gotten something right in my writing. Just about every day, I went out with colleagues to do reporting, and I also wrote a daily column about my experiences and issues I saw in Sierra Leone. I always felt like there was so much I didn’t understand enough to write about, because of course there was. I was always afraid of getting things wrong or misrepresenting things in my writing and reporting. So it was always a relief whenever one of my colleagues told me they agreed with something I wrote in a column, or the times I got emails from Sierra Leoneans living in the country or the diaspora saying they appreciated that I was writing about certain subjects, without saying I got everything wrong. One popular form of transport in Sierra Leone is motorbike taxis, and my first introduction to them was kind of terrifying. 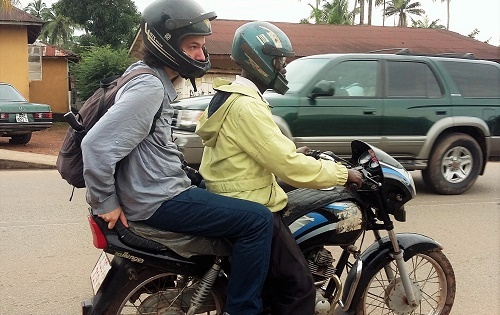 A few days after I arrived in Sierra Leone, I was going with two of my colleagues to do some reporting in a city to the north, and without much warning I was told to get on a motorbike. Going apparently as fast as possible, the driver tore through a slum community in the city, going up and down steep, rocky hills. I had to grab onto the bike to avoid being thrown off. Later near the end of my time in Sierra Leone, I was in another city where the motorbike taxis were absolutely everywhere, and we used them to get everywhere, which was fun. The reason there were so many in that city was that a lot of young people were given bikes to ride after the civil war to give them a direction in life and source of income. Such a seemingly mundane thing was amazing. I want to thank everyone at UW who made this opportunity possible, and the wonderful staff of Awoko newspaper for being so accommodating. I highly recommend journalism students apply for the Foreign Intrigue program, and though it was challenging at times, I can’t recommend interning with Awoko newspaper enough.